Console transitions are weird, sometimes sloppy things, and the latest—from PS3/Xbox 360 to PS4/Xbox One—is no different. The newest wrinkle? Games like Forza Horizon 2 and Diablo III are only offering DLC and major updates to current-gen versions. Last-gen, meanwhile, is stuck out in the cold. "To clarify: We are currently planning to release DLC only for the Xbox One version of Forza Horizon 2. Also, Forza Rewards benefits are only available in the Xbox One version of Forza Horizon 2. 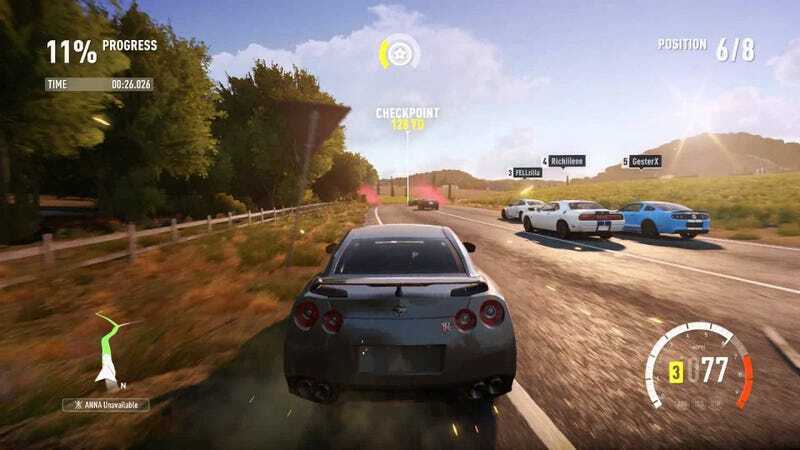 This means that Xbox 360 players will not receive Forza Rewards credits or cars. In addition, progress in the 360 version of Forza Horizon 2 does not count towards your Forza Rewards Tier Level score. Only progress in the Xbox One version of Forza Horizon 2 will count towards your overall Forza Score (and Tier Level) in Forza Rewards." I've reached out to Microsoft and developers Playground Games and Sumo Digital to find out why they made this choice, given that these are some pretty severe limitations. "There are no plans to provide ongoing patch support for PS3 and Xbox 360 post-launch." "While we'd like to regularly deliver updates to the Xbox 360 and PS3 versions as well, there are enough differences between console generations that it's not feasible to do so without impacting our ability to deliver high-quality updates in a timely fashion." Given that cross-gen games are all the rage right now, I reached out to pretty much every publisher under the sun to see how they're planning to support their games in the future. Here's hoping we hear back with some concrete info so you can prepare yourself and/or your poor, forlorn last-gen console's coffin adequately. I am, however, expecting a bunch of people saying, "We'll announce more soon!" These people are, um, apparently very excited about announcing things.